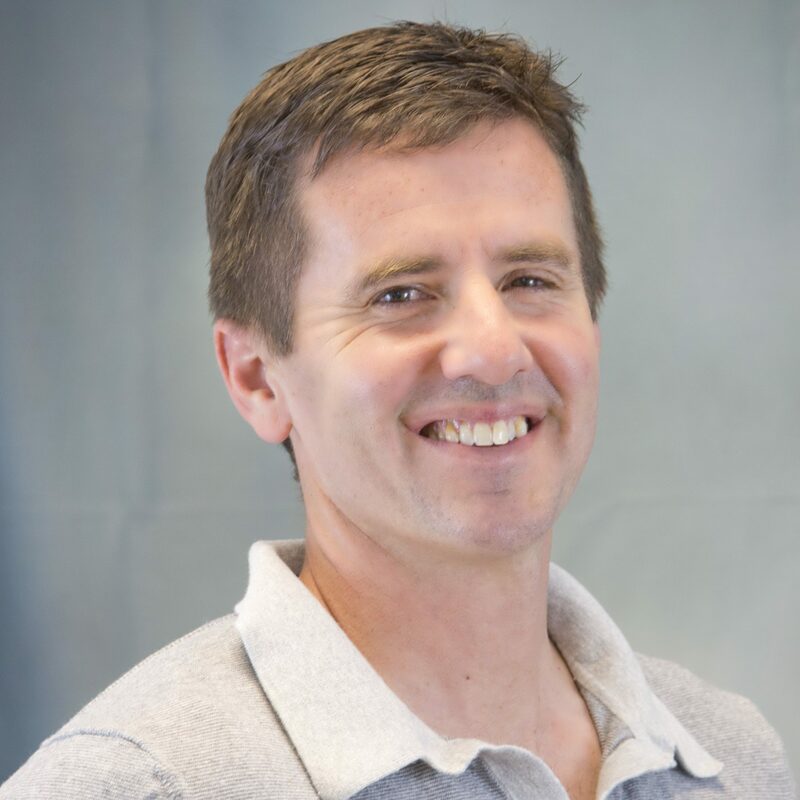 Robert Desjardins is known throughout Biddeford as the city’s number one sports fan, and when you step into his apartment at Avesta’s Five Graham Street community, it’s easy to see why. When I visited him recently, even Desi — as he’s known around town — was wearing an orange T-shirt as he pointed out his Biddeford sports keepsakes: a varsity letter framed on his wall, decorated with pins for each sport and a sign proclaiming “#1 Fan”; a collection of more than 100 scrapbooks stacked in his closet filled with newspaper clippings of game write-ups and honor roll mentions, dating back to 1966. I heard about Desi’s story from our maintenance technician, Richard Hodgdon, whose work allows him to get to know our residents well. Desi, who’s 70, played basketball and ran cross country for Biddeford High School. He’s lived in Biddeford all his life, and at Five Graham Street for six years. He goes to as many home games as he can, no matter the sport, boys or girls. His connection to the community, the athletes and their parents, runs deep. The feeling is mutual among the parents of Biddeford athletes. Now the community is giving back to him. In November, Desi underwent a five-bypass heart surgery and spent more than three weeks recovering. While he was in rehab, Julie and other parents took the opportunity to do something special for him. The group bought Desi new living room and bedroom furniture, dishes, microwave, and televisions — one for the living room, one for the bedroom. Julie says as many as 100 people volunteered or gave money. 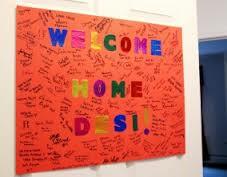 The athletes made Get Well signs that now hang in Desi’s apartment. While Desi is still getting back his strength, the parents take turns cleaning his apartment on weekends, taking him shopping or to appointments, and making him meals. The weekly meal schedule started Dec. 3 and already extends through May, with no family repeating a week. And, of course, no one goes to a sporting event without picking up Desi first. And Desi says he’ll be in the stands no matter what. The residents of Park Street School, a community for seniors in Kennebunk, admit to being a social bunch. They hold daily card games in the building’s large community space and convene regular cribbage games. Starting in January, Park Street School also began hosting monthly Community Cafes, a program of Southern Maine Agency on Aging that provides people ages 60 and over a regular chance to meet, talk and enjoy a healthy lunch. The program is offered in Kennebunk the first Friday of every month and is open to all seniors in the area. In February, about 35 people filled the tables decorated for Valentine’s Day to enjoy a meal of meatloaf, vegetables, rolls and Boston cream pie. Guests chatted about their families, books they’ve read and their favorite restaurants in Kennebunk. Guests that day included a woman who worked as a secretary at the school for seven years and was excited to be back in the building. Park Street School resident Joan entertained the group with songs by Patsy Cline and Neil Diamond. Ann MacAusland, an assessor specialist for SMAA, runs the program but relies on the help of volunteer Park Street School residents like Barbara, herself a recipient of SMAA’s Meal on Wheels program. “I couldn’t help in the kitchen or set up” because she uses a wheelchair, she said, “but I could be at the door helping people fill out paperwork.” Barbara and neighbor Jackie signed up new cafe-goers, handed out raffle tickets and took the $5 donation from each attendee. Before moving to Park Street School last fall, Barbara was living with her son in Arundel. “Since I’ve moved in here, I’ve met so many beautiful people,” she said. The next cafe happens Friday, March 1, and rumor has it the menu is shrimp scampi. Contact SMAA at 1-800-400-6325 for more information. Our Unity Gardens community in Windham also hosts meals for seniors on Mondays, Tuesdays, Thursdays and Fridays, with catered meals the second Thursday of the month. As we’ve done in the past, Avesta is spreading the word about free tax preparation services available for households who need them. Families are fortunate that there are so many ways to get free tax help instead of paying someone to file your taxes, or, worse, getting a refund anticipation loan that carries excessive fees and ridiculous interest. We’re partnering with Gorham Savings Bank and the United Way to sponsor a week of free tax preparation events beginning today. IRS-certified tax preparers will be on hand to help you prepare and file your taxes, check your credit report, and apply for Maine’s property tax and rent refund programs. The events are February 26-28 from 5-8 p.m. and Saturday, March 2, from 9 a.m.-2 p.m., happening at United Way’s office at 1 Canal Plaza, third floor. They’re available to people who made less than $51,000 in 2012. If you can’t make it to an event, you can stop by our new HomeOwnership Center any time during tax season. Contact me to find out more or make an appointment. The United Way is also open to help, so give them a call at 874-1000. If you’d rather take care of your taxes from your living room, and you made less than $57,000 in 2012, you can go to myfreetaxes.com/Maine and file both their state and federal taxes for free. The online software is easy to use and features a toll-free number to call if you have questions. Taking advantage of these free services will save you up to $200 in fees you’d pay elsewhere for tax preparation, and we’ll help you apply for the Earned Income Tax Credit, which could give you up to $5,891. Visit cashgp.org for more information. And check out this space in a couple weeks for smart ways to spend your tax refund. Hint: playing the slots at Oxford Casino is not on the list.